Wishbone Day: Wishbone Day is a collective STRONG! The excitement is growing around the world as plans for Wishbone Day 2012 become known. Our friends in Spain describe Wishbone Day as a collective STRONG! pronouncing "we are not rare, only minority." The Spanish community have heard this message loud and clear and have proclaimed that this statement marks the beginning of a change that is occurring. Wishbone Day is here to stay! Torrelavega, Spain are planning many exciting events to mark Wishbone Day 2012 including this Wishbone Day challenge! On Saturday 5 May 2012, Torrelavega will come together as a city of solidarity to accept the Wishbone Day challenge with a desire to excel. In Spain it is estimated that about two thousand people are living with OI. Join the Torrelavega Wishbone Day challenge: on Saturday 5 May 2012. Bringing together more than two thousand people to symbolize the number of people living with OI in Spain. Torrelavege wants to build on the ideas, enthusiasm and support of all those who participated in the previous edition. But this year, THEY WANT YOU! What you need to do: NO MONEY. That is paramount. THEY WANT ONLY YOUR COLLABORATION. How can you help? MAKE IT EASY. When we act together things are easier! JOIN IN!! It costs nothing!!! Torrelavege, Spain are aiming to become a new milestone for the global movement of Wishbone Day. Help them achieve their goal! If you are interested in joining in on the many fun and exciting Wishbone Day events in Torrelavega, Spain contact Jose Luis Roman at AHUCE. 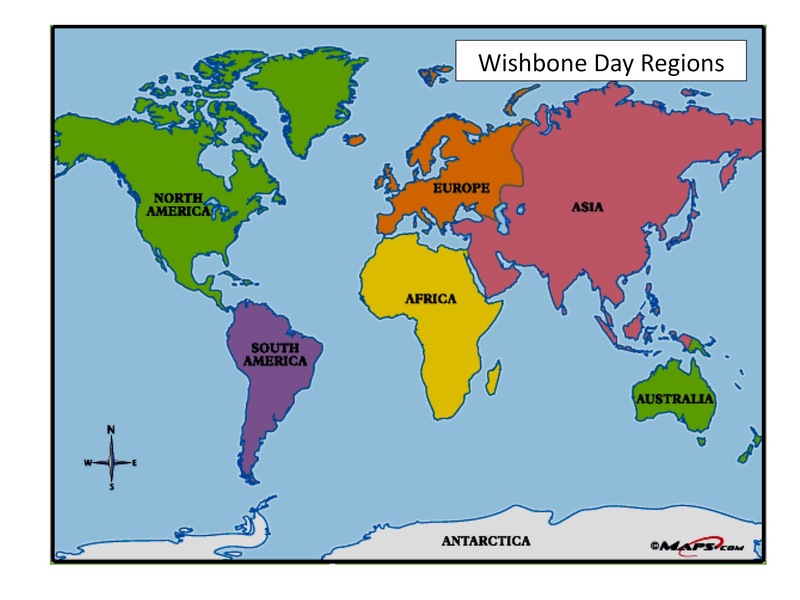 Are you planning a Wishbone Day event that you 'd like us to know about? Contact your regional liaison representative and let them know!